We are now able to offer you the facility of registering with our website. If you choose to register you can then sign up for email alerts when a 'News' item or 'Event' item is published. This is a useful way of keeping informed, without have to access the website on a daily basis. You can see the sort of information that we will be publishing from the current list on the News and Events page. If you register and tick the box to allow email alerts you will be able to read important news for Edgmond as it is published. You will NOT have to sign in to read the information or to access any other information on the website. Edgmond Automated External Defibrillator (AED) is situated in a cabinet on an external wall of the Village Hall. It is for use by anyone. The machine will tell you what to do – you cannot hurt anyone. First call 999 and if you can, continue basic first aid on the patient. Send someone with a mobile phone to the village hall. When at the AED cabinet, ring 999, ask for the ambulance service and quote the number on the AED cabinet. The ambulance control will give you the code to open the cabinet if they consider use of the AED is suitable. Take the AED to the patient and just follow the instructions. TO DO SOMETHING IS BETTER THAN NOTHING. YOU CANNOT MAKE THE PATIENT'S CONDITION WORSE – YOU MAY SAVE THEIR LIFE. Please contact Edgmond Parish Clerk, Katrina Baker, at the address or telephone number below. Or send an email by submitting the form below. Information on how to contact our local 'Safer Neighbourhood Team' and how to register with the Community Messaging Service is on the Parish Council page under the heading 'Working with the Council'. If you have concerns or suspicions about anything relating to law enforcement please use the non-emergency number 101 immediately. Do not worry about wasting police time - the police tell us that lots of small bits of local intelligence can help then build a bigger picture of illegal activity. A member of the Parish Council sits on the Helicopter Liaison Group. We are told that you can inform the RAF if there is a funeral in the village and that the helicopters will avoid the area for the duration. Please contact the RAF directly. Nightime flying takes place once in a while - a weekly diary is posted on the RAF Shawbury website. For information regarding low flying activity call 01939 251510 (Daytime) or 01939 250351 Extn 7227 (Night Time). How do you want to Communicate with your Parish Council? Welcome to our Parish Council website. We hope you find it useful and interesting. Do please use the contact form on this page to contact the Clerk or any other members of the Council. You can be assured that we will respond as soon as we can. You might like to register on the website to receive email alerts when a news item has been published to help you keep up to date with what's happening. 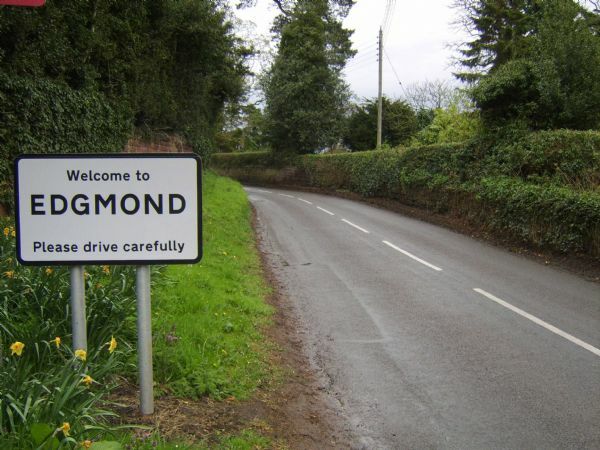 With the introduction of the GDP Regulations, and in common with businesses and other organisations, Edgmond Parish Council has had to look carefully at how it stores and processes personal data. On 21st May 2018 the Council adopted several new policies in connection with the GDPR which places a much greater emphasis on transparency, openness and fairness than previous legislation required. The Parish Council, as Data Controller, will ensure the principles of Data Protection legislation will be followed in the management of personal data and that employees and Councillors understand the requirements of the new legislation. (a) Must be processed lawfully, fairly & transparently. (b) Is only used for a specific processing purposes that the data subject has been made aware of and no other, without further consent. (c) Should be adequate, relevant and limited. (d) Must be accurate and where necessary kept up to date. (e) Should not be stored for longer than is necessary, and that storage is safe and secure. (f) Should be processed in a manner that ensures appropriate security and protection. There are links to relevant documents on the Policies and Procedures tab of this website.